In The Shape of Water, Mexican writer director Guillermo del Toro blends a wide variety of sources from fairy tales to classic Hollywood movies to the Bible to tell an original and unusual love story about a humanoid fishlike monster and a woman who works as a janitor in the secret government laboratory where the fish man is being held captive. While del Toro is undeniably pushing a secular progressive agenda, he uses Christian stories and imagery. Surprisingly, he ends up getting a lot of the ... See More gospel right. 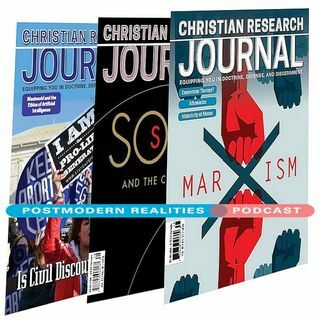 This Postmodern Realities Podcast episode is a JOURNAL author conversation with John McAteer about his online film review of the Oscar nominated film The Shape of Water called How The Shape of Waters Fish Man Symbolizes Christian Grace.